The used oil industry in SA is bucking the current trend and creating a significant number of jobs. According to the latest figures from the Quarterly Employment Statistics (QES) survey, released by Statistics South Africa, South Africa has seen a decrease in the number of jobs being created. However, a survey commissioned by The ROSE Foundation (Recycling Oil Saves the Environment) shows that a significant number of jobs have been created through the recycling of used oil. According to the research house conducting the study, The Research LampPost, the results indicate that approximately 1,300 staff ranging from drivers, labourers and administrators, to operators and managers, are employed in the sector. Data from 84 licensed collectors and 11 licensed processors and 13 licensed bulking points, was included in the study. This was then used as a basis to estimate the total employment contribution for the collection and processing of an estimated 120 million litres per annum of used oil in South Africa. Demographically, the employment profile is predominantly male (85%) and African (64%). In larger operations, the top management is mostly African (37%) or white (34%). In smaller businesses, the sole operators are 41% African, 41% white, 12% Indian and 6% coloured. The majority of collectors and processors are situated in Gauteng, where the biggest volumes are collected. Nearly 50% of the oil is collected in Gauteng. The bigger collectors (600kl/pa or more) collect 75% of the used oil identified in the study. The study results show the used oil industry as a highly competitive business, with most collectors saying that the biggest challenges they faced were fierce competition and pricing, which in turn affected their profit margins and sustainability. Despite this they continue to operate and many of the part-time collectors show entrepreneurial flair in combining used oil collection with other services such as selling automatic lube systems, fire suppression, garage equipment and hydraulics, hazardous waste removal, scrap metal collection, cleaning wash bays and collection and processing of plastic oil bottles and used oil filters. 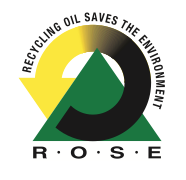 “This is a recycling success story – the used oil industry is a sustainable sector that not only employs many people but also effectively supports their dependents,” commented ROSE Foundation CEO, Bubele Nyiba. On average each collector participating in the study supports 4.2 dependents. For more information and to find out about registered collectors and processors contact the ROSE Foundation on (021) 448 7492 or visit www.rosefoundation.org.za. In this final OilChat of 2018 we debate a rather controversial topic: Fuel Economy vs Wear in engines. It is often believed engine oils that increase fuel economy reduce friction and therefore prolong engine life. This theory is challenged in our newsletter. 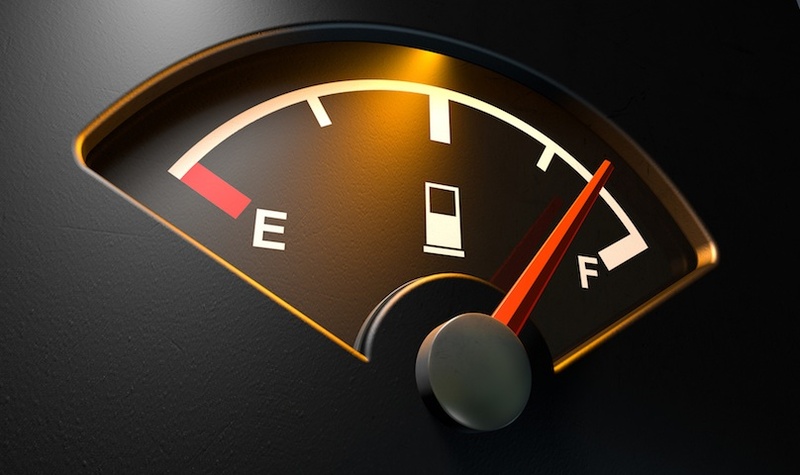 To start off we should face the fact that many drivers do not really care about fuel economy. This is confirmed by the number of SUVs, 4X4s, Double Cabs and Bakkies we see on the road. The size and weight of these vehicles are not conducive to great fuel economy. Furthermore, consider how most vehicles are driven. 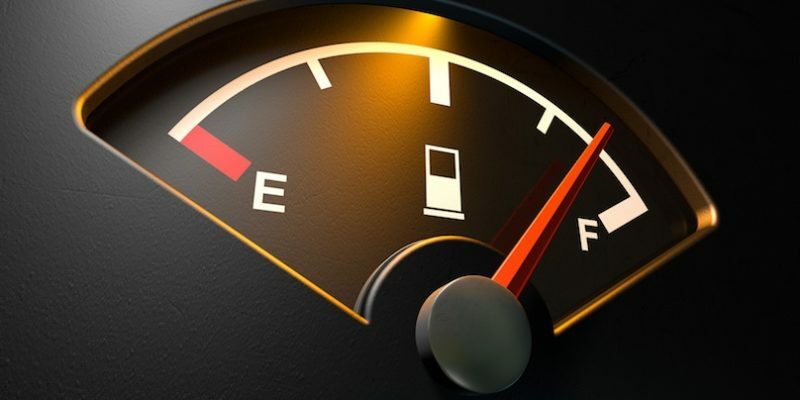 Anyone driving slower than the speed limit to conserve fuel is a danger to himself and other drivers that are not all that concerned about saving fuel and drive at higher speeds. Vehicle manufacturers, on the other hand, are very concerned about fuel economy. 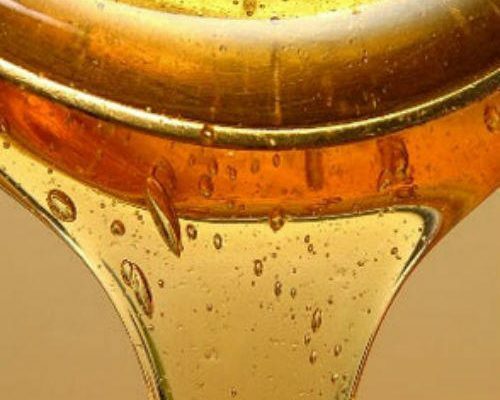 Thinner, low viscosity oils are nowadays being used for three reasons: They save fuel in test engines, viscosity rules have changed, and vehicle manufacturers are recommending thinner grades. Traditionally SAE 20W-50 and SAE 15W-40 multigrade engine oils were used, but today many manufacturers recommend oils as thin as SAE 5W-30 and even SAE 5W-20. This seems ridiculous. SUVs and LDVs, with their brick-like aerodynamics and inherently less efficient four-wheel drive configurations, need powerful, fuel-guzzling engines to move their weight around and vehicle manufacturers recommend thin oils to save some fuel. Thinner oils have less drag, and therefore less friction and wear. Correct? Perhaps this is true in test engines or engines in light-duty operation. 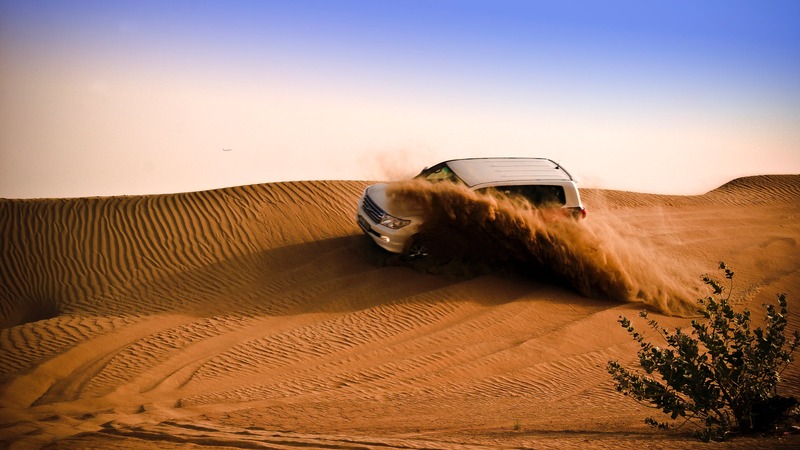 Thicker oils, however, may offer better protection for more severe operations such as driving over mountains, towing a trailer or caravan, overloading, high-speed driving, overheating or dusty conditions. Any abrasive particles (such as dust/sand) equal to or larger than the oil film thickness will cause wear. Filters are necessary to keep out larger oil contaminants. The other side of the equation is oil film thickness. Thicker oil films can accommodate larger contaminants. To make things worse, modern engine oils must have lower SAPS (sulphated ash, phosphorus, and sulphur) levels since high SAPS oils can damage catalytic converters. Phosphorus is part of the zinc phosphate (ZDDP) anti-wear additive. To reduce SAPS you need to reduce the amount of antiwear additive in the oil. Antiwear additives are important in the absence of a hydrodynamic oil film, such as in the valve drive train (please refer to OilChat #22). On the other hand, if engine wear causes oil consumption to increase, the risk of forming phosphorus deposits in the converter increases dramatically. It, therefore, seems that preventing wear and oil consumption should be a priority. In the past, oil formulators could make a premium product by simply adding more ZDDP. A similar move today would result in an oil formulation that would not support new vehicle warranties. As wear increases, the efficiency of an engine declines. Valve drive train wear changes valve timing and movement. Ring and liner wear affect compression. The wear reduces fuel efficiency and power output. Efficiency continues to decline as wear progresses. Perhaps optimizing wear protection is the way to reduce fuel consumption over the entire life of the engine? Certainly, engines that have experienced significant ring and liner wear benefit from thicker oils. The use of thicker oil results in compression increase, performance improvement, and reduced oil consumption. High-mileage lubricants are a relatively new category of engine oils. These products typically contain more detergent/dispersant and antiwear additives than ‘modern’ engine oils. They also contain a seal swell agent (to reduce oil leaks) and are available in thicker viscosity grades than most vehicle manufacturers recommend for new vehicles. Perhaps high mileage may be better described by as soon as your vehicle is out of warranty? Although thinner oils with less antiwear additive outperform more robust products in fuel economy tests, it is not clear that such products save fuel over the life of the engine. Every engine oil is a compromise. Oils recommended by vehicle manufacturers seem to compromise wear protection under severe conditions to gain fuel economy and catalyst durability. It is important to recognize that the use of engine oil that offers more wear protection will most likely compromise your warranty. Thicker oils also compromise cold temperature flow, which may be of concern, depending upon climate and season. 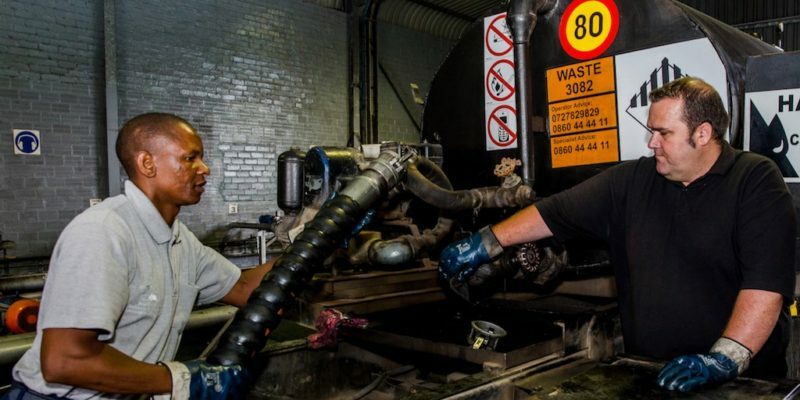 For out of warranty engines in Southern Africa, the best protection against wear is probably a product that is a little thicker (SAE 10W-40 or even SAE 15W-40) and with more antiwear additives than the oils that support the manufacturer’s warranty. The best oil for your vehicle depends on your driving habits, the age of the engine, operating conditions and the climate you drive in, but it is not necessarily the type of oil specified in the owner’s manual. If in doubt our experts are at your disposal and ready to provide you with advice and guidance. Simply mail us at info@bcl.co.za. We would also like to make use of this opportunity to wish all our readers a wonderful Festive Season and a prosperous New Year. We are certainly looking forward to chatting with you again in2019. Without a limited slip differential (diff) cars, trucks and off-road vehicles cannot turn without their inner driving wheels spinning or the outside ones dragging and skidding over the road or ground. Automotive differentials allow the outer drive wheels to rotate faster than the inner drive wheels during a turn. This is necessary since when cornering, the inner wheels travel a shorter distance than the outer wheels. Conventional differentials direct power to the wheel with the least resistance by nature of their design. The disadvantage of this is that one driving wheel can spin wildly while the opposite wheel receives insufficient power to move the vehicle. 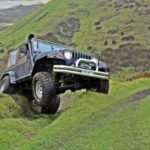 With a conventional diff, the right front wheel of the Jeep in the photo will turn uncontrollably whilst the left front wheel will not have adequate power to move the vehicle. To overcome this problem many vehicles are fitted with limited-slip differentials (LSDs). To understand the operation of LSDs one needs to know how a conventional differential works. A diff has one input and two output shafts (the axles that connect to the driving wheels) as shown in Figure 1. The input shaft is coupled to the pinion gear, which in turn drives the big ring (crown) gear. A ‘cage’ that carries two smaller pinion gears is fixed to the ring gear. These pinion gears in turn mesh with two side gears that are connected to the end of each axle shaft. The pinions and side gears in the cage allow the driving wheels to rotate at different speeds when cornering as illustrated in the video link https://www.youtube.com/watch?v=S9NKB0VoR2I. A limited slip differential can be described as a locking mechanism that allows one wheel to slip or spin while some torque is still delivered to the other wheel. The clutch-type LSD is the most common version of the limited slip differential. This type of LSD has all the same components as a conventional diff plus a spring pack and a set of clutches as shown in Figure 2. The spring pack pushes the side gears against the clutches, which are attached to the cage. The side gears spin with the cage when both wheels are moving at the same speed, and the clutches are not really needed. The only time the clutches step in is when something happens to make one wheel rotate faster than the other, as in a turn. The clutches fight this behavior, wanting both wheels to rotate at the same speed. If one wheel wants to spin faster than the other, it must first overpower the clutch. The stiffness of the springs and the friction of the clutch determine how much torque it takes to overpower it. Getting back to the situation where one drive wheel is off the ground and the other one has good traction, the limited slip differential will direct enough power to the wheel with traction to move the vehicle even though the one wheel is in the air. The torque supplied to the wheel on the ground is equal to the amount of torque it takes to overpower the clutches. The result is that you can move forward, although not at full power. 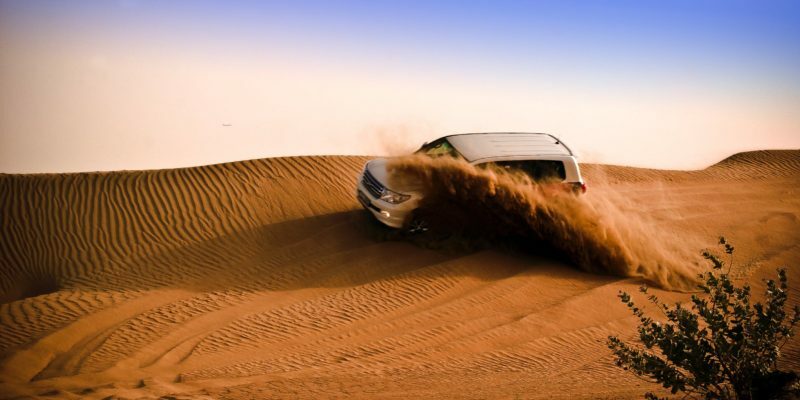 The same principle will apply when one wheel loses traction because of mud, sand, ice, water, etc. The most critical area in a differential in terms of lubrication, hypoid diffs, in particular, is the contact area between the crown and pinion (see OilChat #14 for more details). API GL-5 extreme pressure (EP) lubricants are typically recommended to lubricate the crown and pinion effectively. Such ‘slippery’ gear lubricants may, however, cause chatter in LSDs. This happens when the clutches repeatedly alternate between slipping and sticking (stick-slip), instead of slipping smoothly. Chatter not only generates annoying noise and vibration, it also causes premature wear. To overcome chatter, gear oils for LSDs are formulated with special friction modifiers to ensure smooth operation of the spring-loaded clutch packs. Blue Chip Lubricants and Q8Oils have a complete range of limited slip gear oils to prevent chatter in LSDs. If you have any questions concerning limited slip gear oils, our experts are at your disposal and ready to provide you with advice and guidance. Simply mail us at info@bcl.co.za. Final words of advice: If stuck in mud or sand with a rear wheel drive vehicle without a diff lock or LSD, pulling up the handbrake moderately and applying power to the rear wheels may well get you out of trouble. By doing this you basically even out the traction/slip on the back diff and it acts as a diff lock to some extent. In this edition of the newsletter, we will endeavour to explain what slideway lubricants are, their functions and how they work. Slideway oils derive their name from the application. They are primarily designed for the lubrication of machine tool slideways. A slideway can be described as any form of track along which things can slip or slide. A curtain rail is a simple example of a slideway. In metalworking operations, workpieces are machined into a desired shape and size by a controlled metal removal process. In general cutting operations (e.g. 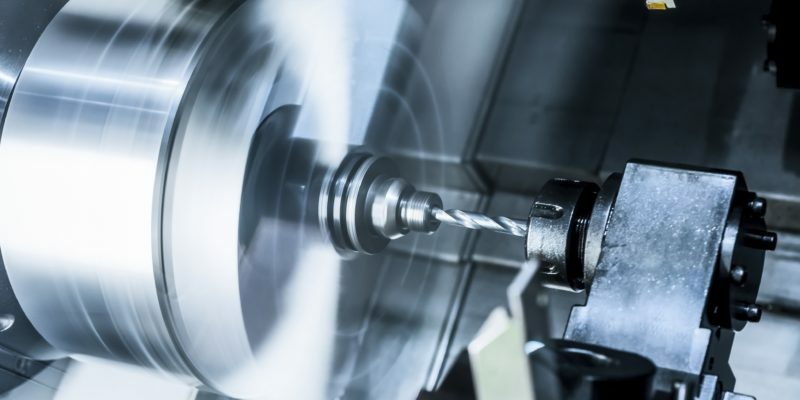 lathes) the workpiece rotates whilst the cutting tool is stationary. Metal may also be removed by means of linear instead of rotational movement. In these operations, the workpiece and cutting tool move in a straight line relative to each other. The photo on the right shows such a machining operation. The cutting head (in the red rectangle) is attached to the light grey frame and can move up, down or to the left and right on slideways. The brown workpiece is fixed to a traverse table that moves backward and forward, also on slideways. The operator (with green pants) is visible on the left side of the photo. 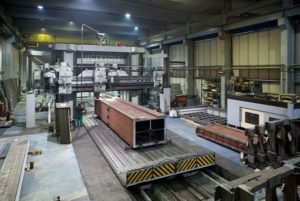 These metalworking machines can vary in size from modest basic units that produce small metal components to massive monsters designed to machine very large workpieces such as marine engines and mining machinery. Boundary Lubrication is associated with metal-to-metal contact when the speed difference between two moving surfaces is too low to prevent contact between the two lubricated surfaces. Mixed Lubrication is a transitional regime between the boundary and hydrodynamic lubrication when the speed is not sufficient to separate the two surfaces completely. Hydrodynamic Lubrication occurs when the speed is high enough to separate the two moving surfaces completely and friction is at its lowest. In machining operations, the traverse table stops at the end of the slideway and starts to move in the opposite direction. When the table stops, static friction (the worst form of boundary lubrication) occurs. As the table speed increases, friction changes from static to dynamic. This fluctuation between static and dynamic friction results in a jerky movement which is commonly referred to as stick-slip. In simple terms stick-slip can be described as surfaces alternating between sticking to each other and sliding over one another. Static (stationary) friction between two surfaces is greater than dynamic (moving) friction. If the applied force is large enough to overcome the static friction, the reduction in friction to the dynamic state can cause a sudden increase in the velocity of the movement resulting in the jolting action. Stick-slip can also occur at low feed speeds and high loads. Since stick-slip is a recurring event, it may be perceived as a harmonic vibration or noise. While it may not always be visible to the human eye, stick-slip effects are a frequent phenomenon in everyday life and it produces a range of audible incidents, e.g. when a chair is pushed along the floor its legs begin to vibrate with an irritating noise. Other examples of stick-slip motion are the sound produced by a wine glass when a wet finger is moved along its rim and the jerky motion of vehicle windshield wipers. Stick-slip, however, is not always a bad phenomenon. It is responsible for the rich sounds when a bow is moved over the strings of a violin. 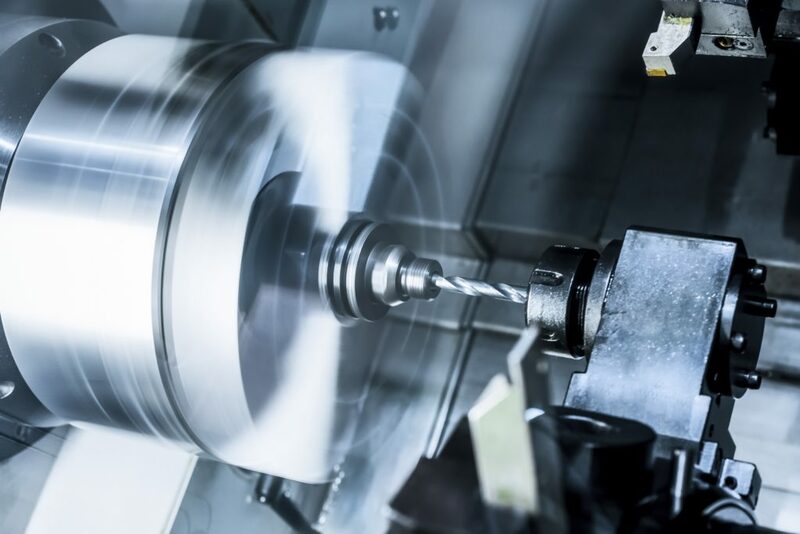 In machining operations, stick-slip is an undesirable occurrence that causes the transverse table and workpiece to shudder resulting in inaccuracies of the machined surfaces. Static friction situations during start-up. Continuous transition from rest to movement. Slow speed heavy load applications. In addition, high-performance slideway lubricants must contain additives to provide good antiwear and extreme pressure performance, tackiness for slideway adhesion, oxidation stability, as well as rust and corrosion protection for slides and ways. Slideway oils must also have good compatibility with cutting oils and other machine tool lubricants and adequate demulsibility to separate from cutting fluid emulsions. ISO 68: Horizontal slideways and light to moderate applications. ISO 220: Vertical slideways and more severe applications. Slideway oils in the appropriate viscosity grade are also recommended for hydraulic systems subject to stick-slip service (ISO 11158 Type HG), heavily loaded gear systems and other industrial applications requiring an adhesive, corrosion inhibited lubricant with EP properties. If you have any questions concerning slideway lubrication our experts are at your disposal and ready to provide you with advice and guidance. Simply mail us at info@bcl.co.za. Manufacturers with metalworking operations and machine shops use and dispose of a substantial amount of metalworking fluid each year. These operations have the potential to extend metalworking fluid life. 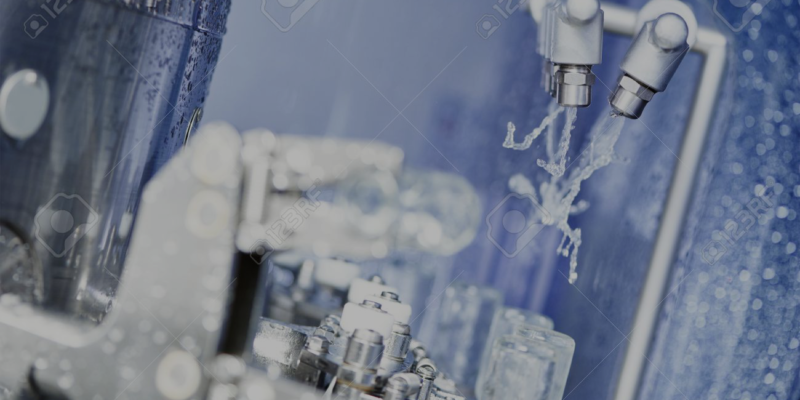 Prolonging the life of the metalworking fluid and optimizing its performance are very dependent on the control of the metalworking fluid system. This control is as important as the selection of the proper fluid (please refer to OilChat #37). 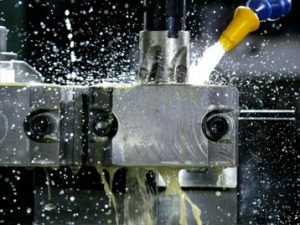 Regardless of the fluid type and application, all metalworking fluids require some form of management. Neat oils are relatively easy to maintain, but they do require some management. Straight oils should be filtered on a regular basis to remove metal fines and other contaminants to provide a long service life, improved cutting performance and a high level of surface finish. The majority of cutting and grinding fluids in use today, however, are water soluble. These fluids, on the other hand, differ from straight oils because they require a higher degree of maintenance to provide extended periods of satisfactory cutting performance, bio-stability, and longevity. When a soluble metalworking fluid is mixed with water, a new level of potential problems is presented. The coolant sump is an excellent breeding space for bacteria, fungi, yeasts, and moulds because it is dark, humid and provides an excellent nutrient source (the fluid itself) for bacteria to thrive on as shown on the right. If you are familiar with metalworking facilities you have probably encountered a variety of unpleasant odours. You must have noticed that “rotten egg” or “Monday morning” smell (bacteria) when metalworking fluids have been allowed to settle over the weekend. The majority of cutting and grinding fluids in use today are water soluble. 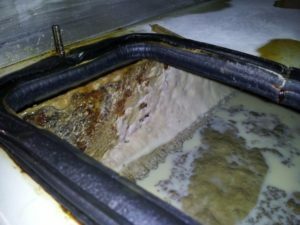 Over time, these fluids can become rancid or contaminated with microbiological growth. With use, fluids lose their rust control capabilities, as well as their anti-foam characteristics. During normal fluid use, evaporation of water increases the concentration of the metalworking fluid. In addition, the fluids contain the chips and “fines” from the machining operation. During use, the cutting fluid collects hydraulic oil and other lubricants from the machine tool. This oil, called tramp oil, contributes to the growth of bacteria. These micro-organisms smell like rotten eggs and shorten fluid life. The fluid is disposed of once its efficiency is lost. 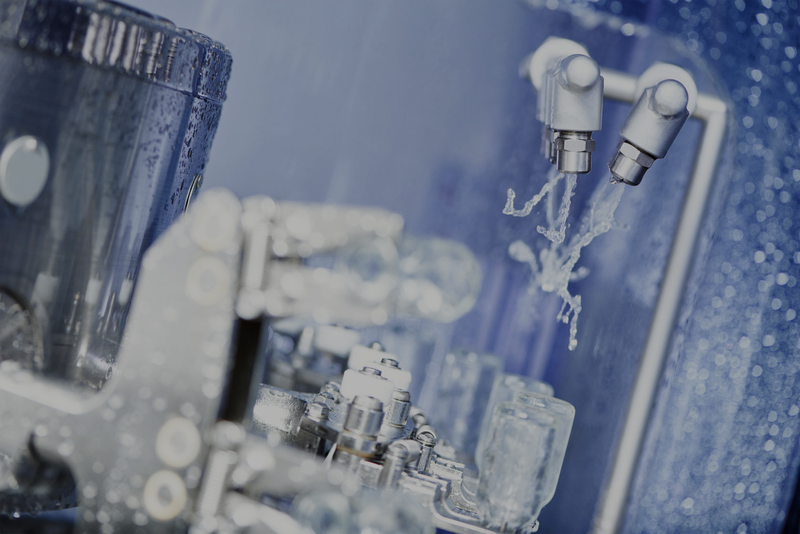 Good fluid management practices can go a long way towards solving fluid problems and making the most cost-effective use of metalworking fluids. Monitoring and maintaining fluid quality are crucial elements of a successful fluid management program. Important aspects of fluid monitoring include system inspections and periodic measurements of fluid parameters, such as concentration, biological growth, and pH. Changes in optimal fluid quality must be corrected with appropriate adjustments (such as fluid concentration adjustments, biocide addition, tramp oil, and metal cuttings removal and pH adjustment). It is important to know what changes are taking place in your system and why they occur. This allows you to take the appropriate steps needed to bring fluid quality back in line and prevent fluid problems from recurring. Many of the contaminants that cause fluids to be disposed of prematurely are foreign materials, such as floor sweepings, cleaners, solvents, dirt, tobacco, food, etc. If improved fluid life is a goal, it must start with education and revised shop practices. The first step in fluid control is improved housekeeping and sanitation. Only then control of natural metalworking fluid contaminants, such as chips, fines, tramp oil, and bacteria will be effective in improving fluid life. The link below provides more information and advice on how to manage water miscible and neat metal-working fluids at every stage from ‘’cradle to grave”. It aims to give a broader understanding of cutting fluid management and provides practical advice to get the best results from metalworking fluids. 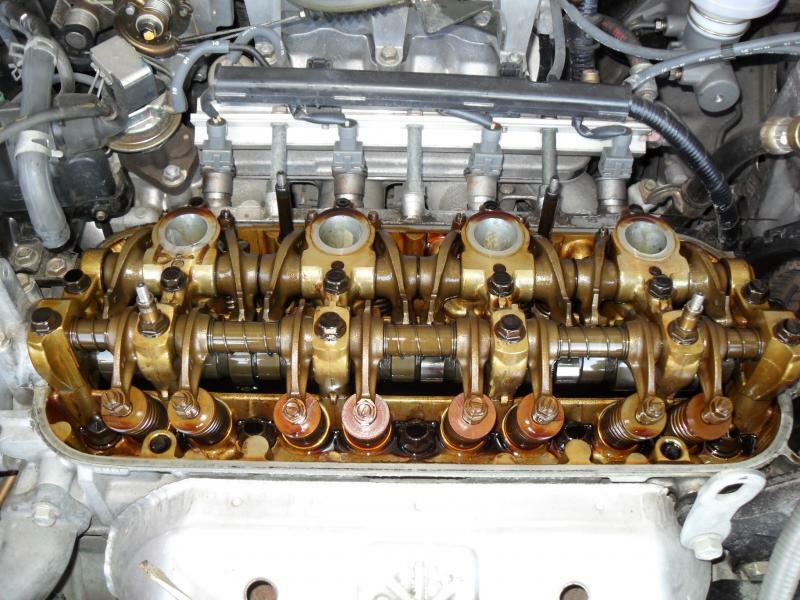 Motor oil deteriorates during its life in the engine due to oxidation. This results in sludge, varnish and resins that become deposited on engine surfaces. Deposits in the piston ring belt area cause ring sticking, loss of compression and increased oil consumption. Deposits can also block oil lines and passages which prevent the oil from reaching parts that need to be lubricated. The results are increased wear, heat build-up and eventual engine failure. Engine oil is also contaminated with fuel soot because of incomplete combustion of the fuel as well as carbon which is introduced into the engine by emission control systems – diesel engine oil in particular. Oil viscosity increases with soot loading. High oil viscosity leads to cold-start problems and risk of oil starvation. When the soot concentration reaches a level that can no longer be suspended in the oil, the soot precipitates out of the oil to form sludge and deposits. High concentrations of soot also lead to increased wear. To control all these contaminants, engine oils are formulated with detergents and dispersants in the performance additive package. Antiwear agents, rust inhibitors, and antioxidants are also incorporated in the performance package. In addition, multigrade oils contain viscosity index improvers. The viscosity index improver additive cannot be included in the performance package and is mixed into the oil separately. Pour point depressants and foam inhibitors are also included in the oil formulation, normally blended into the oil as separate components. The performance package is dominated by the detergent and dispersant components. Considering the large amounts of contaminants the oil must handle (soot particles in particular) these two additives normally make up between 60% and 80% of the performance package. The terms ‘detergent” and ‘dispersant’ are often used interchangeably because the two additives work in synergy to keep engines clean, but the way they function is completely different. Detergents are oil soluble organo-metallic compounds, mostly derived from the organic soaps or salts of calcium, magnesium or sodium, with calcium being the most commonly used. They have polar heads which allow them to cling to metal surfaces. Detergents serve two principal functions. Firstly, they remove deposits from metal surfaces inside the engine. Deposits and metal surfaces are both polar and deposits are drawn to the metal surfaces and stick to them. The detergent, with its stronger charge, displaces deposits from the metal surface as shown in Fig 1. Secondly, detergents are highly alkaline and neutralize acids formed in the oil by chemically reacting with them to form harmless neutralized chemicals. Fig 2: Dispersants hold deposits in suspension. Due to their metallic nature detergents are prone to produce residues and ash when burned in the engine. solution in the oil by the tails as illustrated in Fig 2. Dispersants do not contain any metallic elements. If they are burned in the engine, they do not leave any residue or ash. Due to their alkaline nature, detergents and dispersants contribute to the alkalinity reserve or Total Base Number (TBN) of engine oil. Of these two additives, detergents add the most to TBN. Dispersants are more rapidly depleted than detergents because of the way they react with contaminants and acids in the oil. Detergents, on the other hand, have the ability to retain their alkalinity reserve over longer periods of time, thus providing better TBN retention. We mentioned earlier that detergents produce ash when burned in the engine (due to their metallic nature) and therefore they contribute to the SAPS (Sulphated Ash, Phosphorus and Sulphur) level of engine oil. Nowadays the main driving force for the development of new engine oils is concern over the environmental impact of engine emissions. Current generation lubricants must provide optimum exhaust gas emission control system durability. To protect these systems, engine oils must contain lower SAPS levels since SAPS can poison emission control after-treatment devices. The reduction in oil SAPS limits has resulted in a shift from traditional engine oil technologies to alternative low ash additive chemistries and there is now increased focus on detergents and dispersants derived from polybutenes. 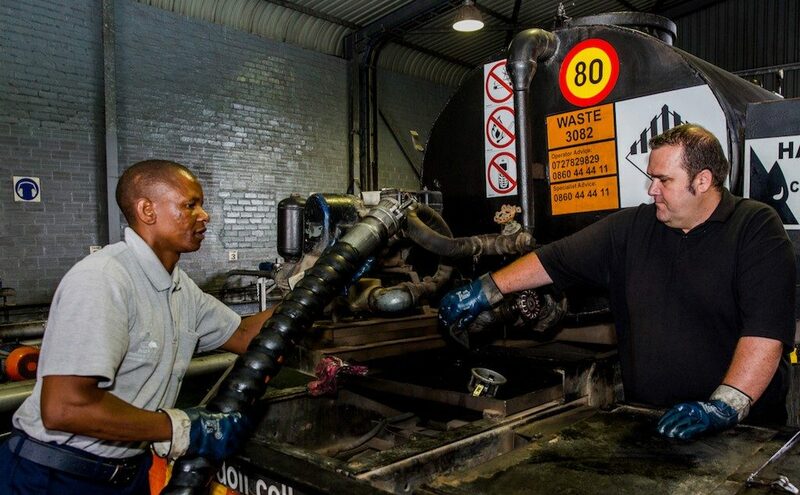 South Africa generates an average of 120 million liters of used lubricant oil in a year. This is a large amount of used oil that, if not collected and recycled responsibly, could make its way into our environment, contaminating landfills and groundwater. Environmental legislation requires used oil generators to store their used oil safely and to ensure it is collected and processed by licensed oil collectors and processors, who will ensure it is recycled in an environmentally compliant manner. Ensure that you store the oil in a container with a secure lid so that it cannot spill out. Empty oil containers and drums make effective makeshift storage vessels for used oil, however, DO NOT use a container that previously held chemicals, such as cleaners, solvents, fuels, paint or bleach. Keep these containers in a place that can be accessed by used oil collector and keep the surrounding area clear and clean. Ideally store them under cover and away from heat or sources of ignition. The CEO of the ROSE Foundation, Bubele Nyiba urges used oil generators to use ROSE registered oil collectors to remove the oil and take it to be recycled in an environmentally compliant and safe manner. The ROSE registered collectors issue the generator with a safe disposal certificate on collection. “The transport of used oil, as a hazardous waste, is governed by regulations contained in the National Waste Information Regulations which states that every waste transporter of hazardous waste must be in possession of the safety data sheet prepared by the waste generator in accordance with SANS 10234 as well as the relevant waste manifest documentation,” explains Nyiba. ROSE registered collectors and processors are compliant with all waste transportation legislation and are strictly managed and audited – further ensuring your compliance as a waste generator. This manifest must be provided to the waste manager at the time of the delivery of the waste to the treatment facility and the transporters must retain copies or be able to access records of the waste manifest document for a period of at least five years and make the waste manifest documentation available to the Department upon request. All vehicles’ placarding and documentation must be an accurate reflection of the dangerous goods being transported. Dangerous goods placards must be made out of a rigid material (such as painted metal plate, rigid plastics, plastics material or coated paper) that can withstand bending and warping and must be 700 mm wide and 400 mm high in size (regular sized placard) with a 10mm black border. The word WASTE must appear above the UN number. A cell phone or landline number must appear as the Operator number, provided it is available 24 hours per day. A used oil collector’s insurance provider’s number, a HAZCALL or a control room number can be used for Specialist Advice – provided it is available 24 hours per day. The full placard, including the 10 mm black border, must be clearly visible from the roadside, whether directly fixed on the vehicle, or supported on a permanently fixed frame. The placard must also be clean and legible. Three regular-size dangerous goods placards must be stuck on the vehicle, semi-trailer or trailer – one at the rear and one on either side of the vehicle. Vehicles with a GVM of less than 3 500 kg can be fitted with smaller placards (350mm x 200mm) where space does not allow the fitting of a regular size placard. A regular-size (250mm x250mm) orange danger warning diamond must be attached to the front of a vehicle or a truck tractor so that it is clearly visible from the front. Again, vehicles with a GVM of less than 3 500 kg may be fitted with a reduced-size (100mm x 100mm) danger warning diamond where space does not allow the fitting of a regular-size danger warning diamond. confirmation of classified waste, if applicable. The Viscosity of a fluid is its resistance to flow. It is generally perceived as “thickness”. The higher the viscosity, the greater the resistance to flow or the “thicker” the fluid. Viscosity changes with temperature – the higher the temperature, the lower the viscosity. It is therefore always important to specify the temperature at which the viscosity measurement was made. 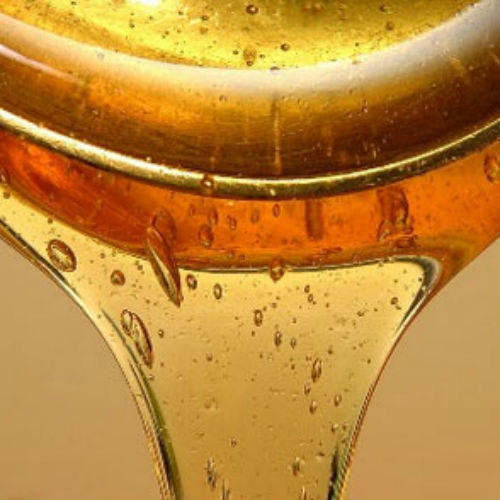 The viscosity of lubricating oil is normally measured at 40˚C and 100˚C. 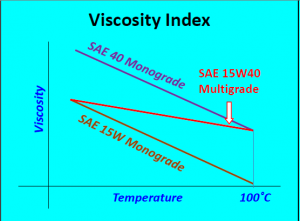 Viscosity Index (VI) is a measure of the change in viscosity with change in temperature. It is most commonly used to portray the viscosity-temperature behavior of lubricating oils. The lower the VI, the more the viscosity will change with variation in temperature. VI has no units and is calculated using the viscosity of the oil at 40˚C and 100˚C. Many applications require the lubricant to perform satisfactory across a wide range of temperatures. For instance in automotive engines, an oil with a low viscosity at low temperature, i.e. SAE 15W (“W” for winter), is needed to enable the oil pump to push the oil through the engine during cold morning starts. The oil also needs to be viscous (thick) enough, SAE 40 for example, to protect the engine when it reaches operating temperature. This is when the use of a Viscosity Index Improver (VII) becomes essential. Viscosity Index Improvers (sometimes referred to as Viscosity Modifiers) are polymers that provide “thickening characteristics” to oil at elevated temperatures. When the oil temperature is low, these polymers curl up into tight balls that flow readily with the oil molecules (Figure 1). As the temperature increases, they expand into large stringy structures that restrict the normal oil flow, which has a thickening effect on the oil. When the oil cools down, the polymers go back to their original shape. The result is that when these polymer additives are blended in the correct proportion with for example SAE15W base oil, the oil flows like an SAE 15W at low temperatures and similar to an SAE 40 oil at high temperatures. The outcome is an SAE 15W40 multigrade oil that will provide adequate protection over a wide temperature range (Figure 2). It should be noted that there is actually no SAE 40 base oil in an SAE 15W40 formulation. In addition to multigrade engine oils, Viscosity Index Improvers are also used in multigrade gear oils, automatic transmission fluids, power-steering fluids and high viscosity index hydraulic oils. 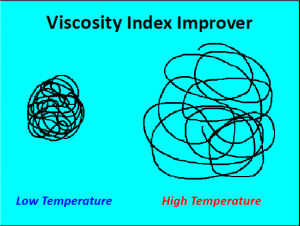 Unfortunately, viscosity index improvers have some downsides as well. The primary disadvantage is that polymers are susceptible to shearing when subjected to high mechanical stresses in severe service. There are areas in engines, gearboxes, hydraulic pumps, etcetera that have very tight clearances and this can shear the polymers (viscosity index improver molecules) into smaller pieces. This “physical breakage” cannot be reversed when the shear stresses are removed. Consequently, it affects the ability of the polymer molecules to add to the viscosity of the fluid at elevated temperatures. Various types of polymers are used as VIIs in lubricating oil formulations. These include, amongst others, poly alkyl methacrylates (PMA), olefin copolymers (OCP) and hydrogenated styrene-diene copolymers (SDP). The various polymers have different shear stability characteristics. Higher molecular weight polymers make better thickeners but tend to have less resistance to mechanical shear. Lower molecular weight polymers are more shear-resistant, but do not improve viscosity as effectively at higher temperatures and must, therefore, be used in larger concentrations. Consequently, different VIIs must be used, for instance, in engine oils and gear applications where very high levels of sliding friction and shearing stresses are encountered. The viscosity index improvers used in Blue Chip and Q8 lubricants products have been (i) extensively evaluated in laboratory and bench tests, (ii) specifically selected for the intended lubricant application and (iii) proven in field trials and extended service. You can, therefore, rest assured that our lubricants will resist thinning out due to shearing if used in accordance with equipment manufacturers’ recommendations. If you have any questions concerning this newsletter or any previous ones for that matter, you are most welcome to mail us at info@bcl.co.za. Should you have any lubricant related topics you would like to see published, please do not hesitate to let us know. In fact we are always looking for new ideas. Many of the topics we wrote about in previous issues of OilChat were in response to questions and suggestions from our readers. In OilChat 33 bore polishing in diesel engines was discussed. Now the question is what is the difference between bore polishing and cylinder bore glazing? Early signs of both bore polishing and cylinder glazing are increased oil consumption (blue exhaust smoke) and loss of combustion pressure. Although the symptoms of the two phenomena are very much the same, their physical appearance and process of development are completely different. Glazing in diesel engines is normally the result of prolonged light load, low-speed running and/or extended periods of idling. Typical examples are light trucks in local delivery service and small farm tractors hauling trailers in orchards during the harvesting season. Diesel engines are designed to operate at above 60% of their maximum rated load and ideally closer to 75%. 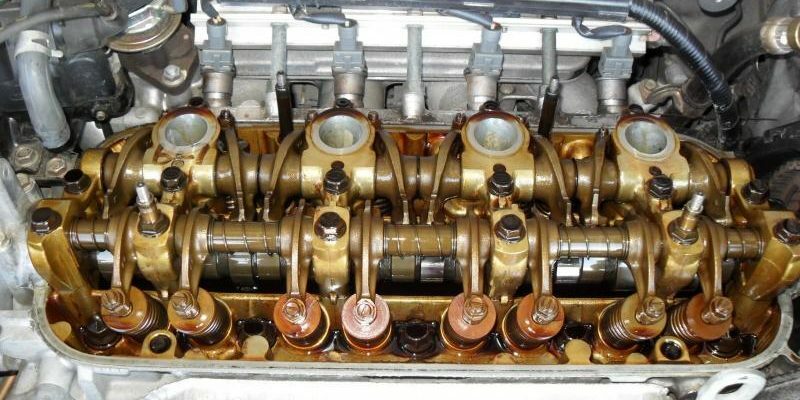 Running an engine under low loads causes low cylinder pressures and consequent poor piston ring sealing since the rings rely on the cylinder pressure to force them against the oil film on the bores to form the seal. When cylinder rings are not sealing properly, hot combustion gases force their way past the rings and flash-bake the oil on the cylinder to form a hard deposit layer, commonly referred to as glazing. 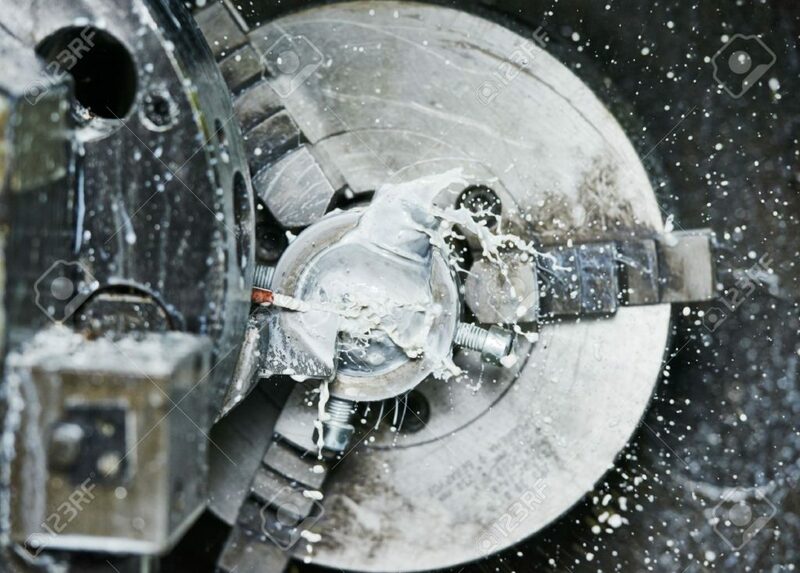 Once glazing has occurred, the honing marks in the bore are smoothed over, resulting in an even poorer seal between the piston rings and cylinder bore. The glazing issue becomes a vicious spiral allowing more and more hot combustion gases past the rings to bake further oil deposits on the cylinder. Various remedies are suggested to cure bore glazing. Many of them involve introducing some sort of abrasive into the engine air inlet to abrade the glazing on the cylinder bores. Any abrasion, however, that occurs, will be along the axis of the cylinder (rather than the original crosshatch grooves), allowing more oil to pass the rings and thereby increasing oil consumption even further. If glazing is detected in its early stages (loss of power, increased oil consumption, and blue exhaust smoke), running the engine on a low-performance oil at maximum load may allow the piston rings to scrape the glazing off the cylinder bores. However, if glazing has been allowed to progress to an advanced stage, this procedure will not have any significant remedial effect. Advanced glazing can only be cured by stripping down the engine, re-boring the cylinders and machining new honing grooves. Q8 Formula Truck 7000 15W-40 is formulated with leading-edge additive chemistry to protect diesel engines against cylinder bore glazing.